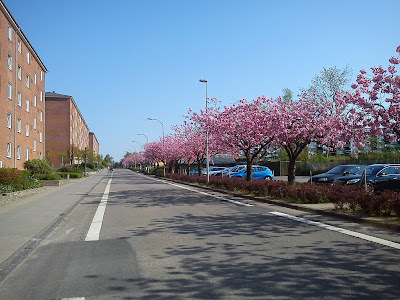 Here I am sharing a few pictures from my local surroundings here in Vejle. 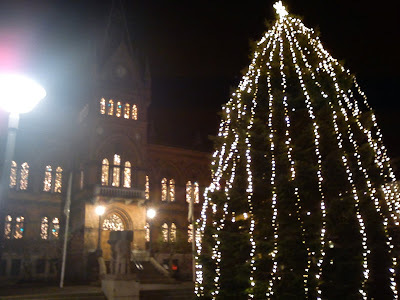 Christmas decoration of the city center of Vejle. 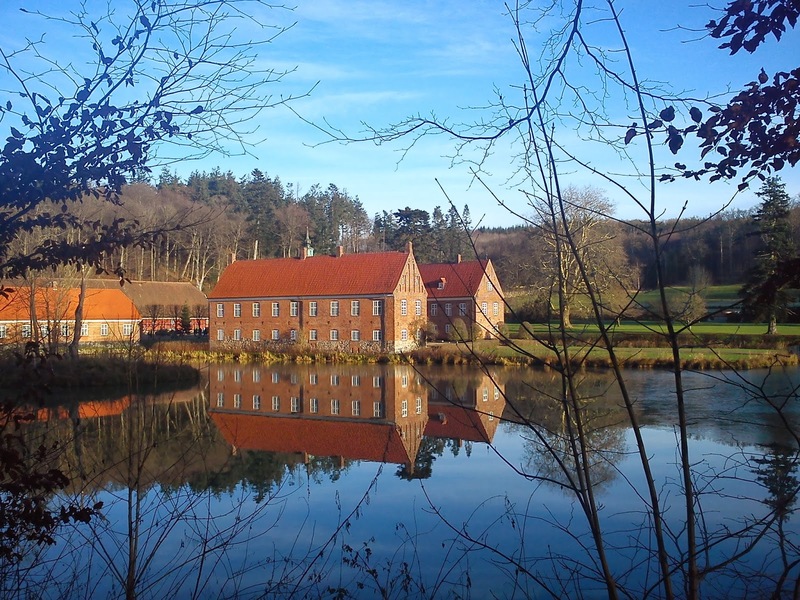 Halloween in Vejle November 2016 for the first time ever. 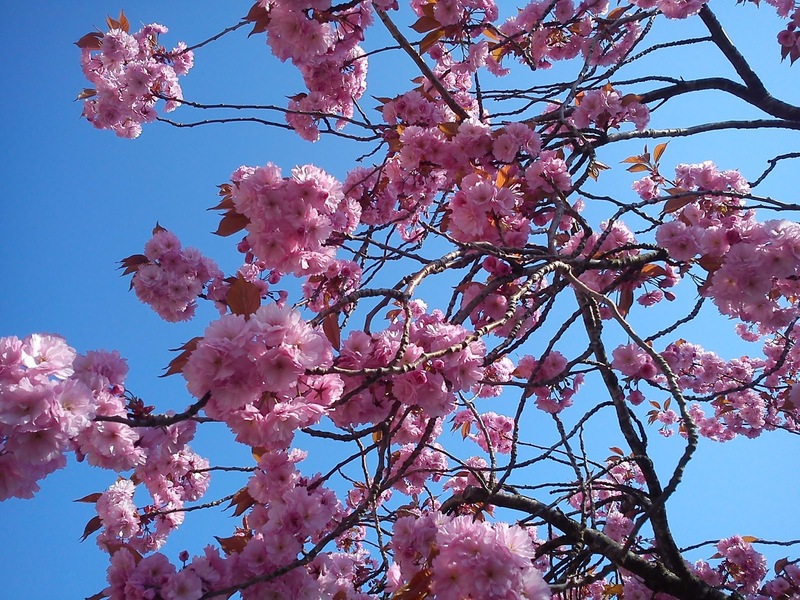 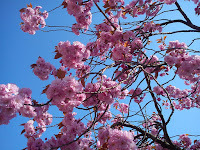 Japanese cherry trees in full bloom on a wonderful sunny Spring at Moldevej, Finlandsparken. 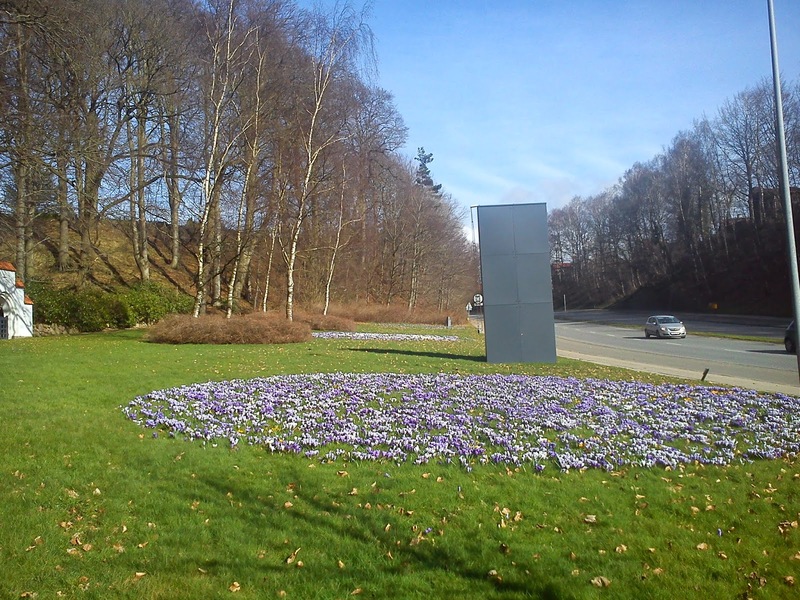 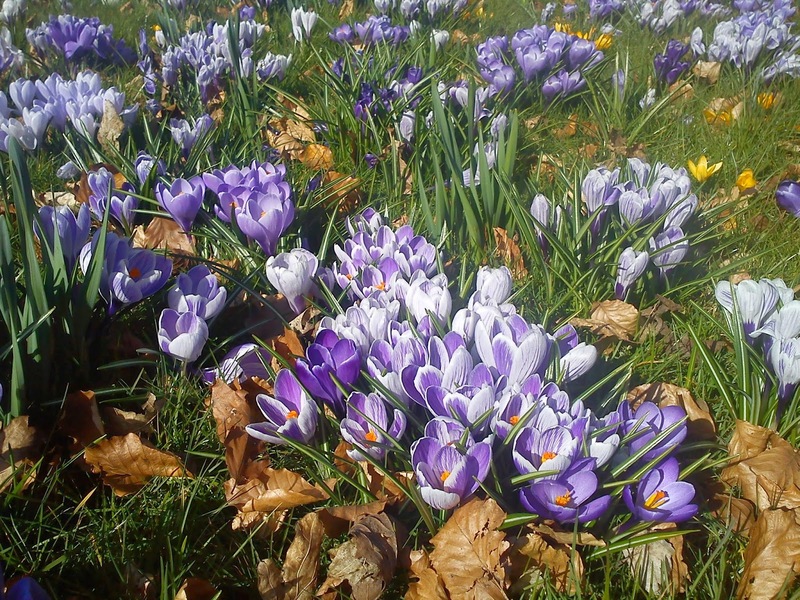 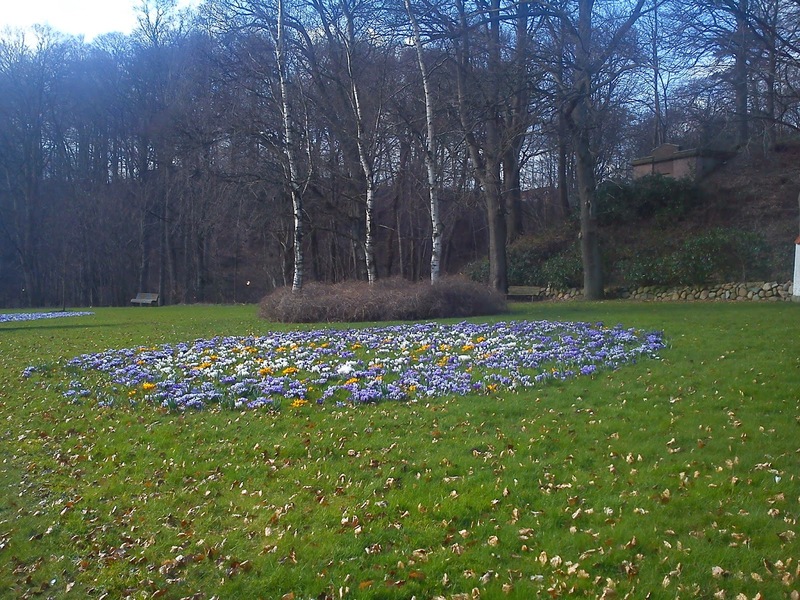 During springtime you can notice circles of crocus, as you pass by on Horsensvej on the way down to Vejle down town. 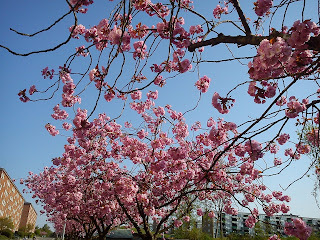 It is a vivifying vision after a dark Winter period. 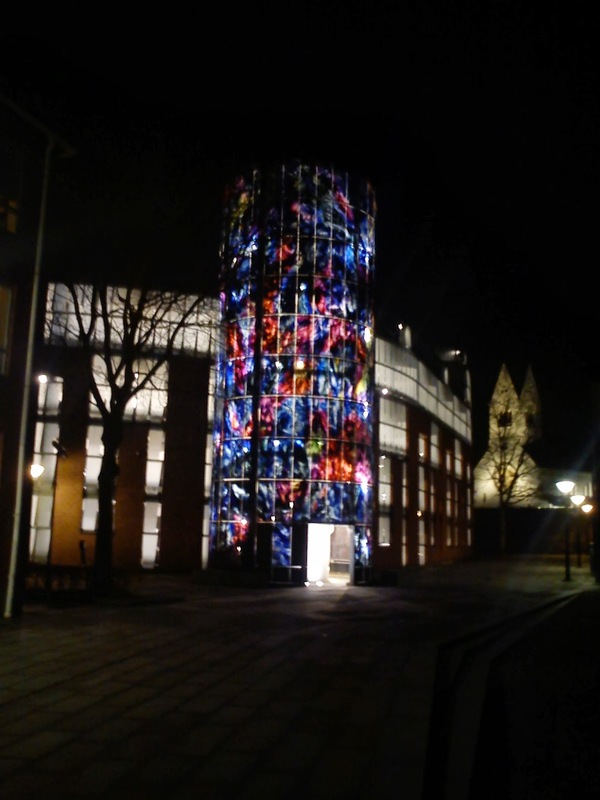 One of the parking houses in the city centre is called Trondur, as it is decorated with glass art of artist Tróndur Patursson from Faeroe Island. 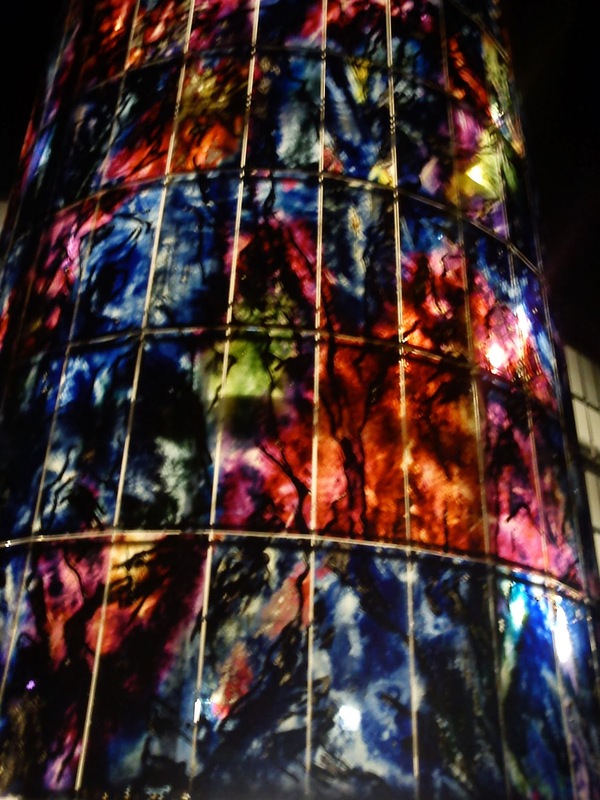 For me the best view to the glass decoration is during the dark hours, where they really comes to live. A wonderful December day at Tirsbæk Slot. 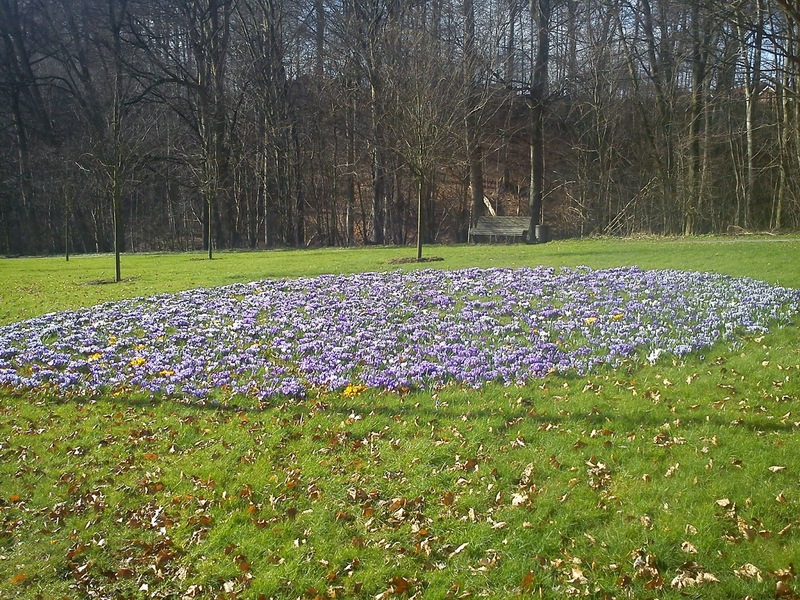 A cold, but very sunny Winter day. 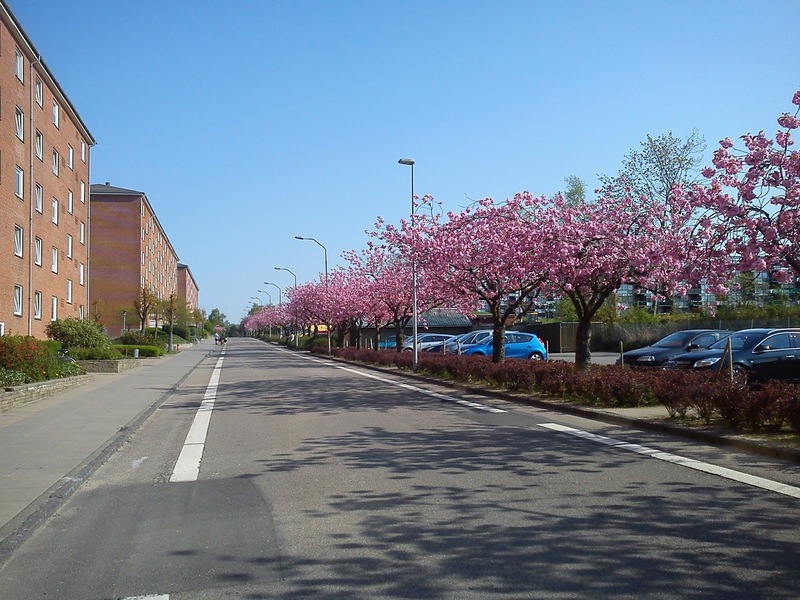 Winter 2010/2011: Snow covered foot path (Grundet Hulvej) - the connection between the city centre and the living area Grundet, where I am living. The Christmas tree of 2013 in front of Vejle town hall with light decoration in the windows. 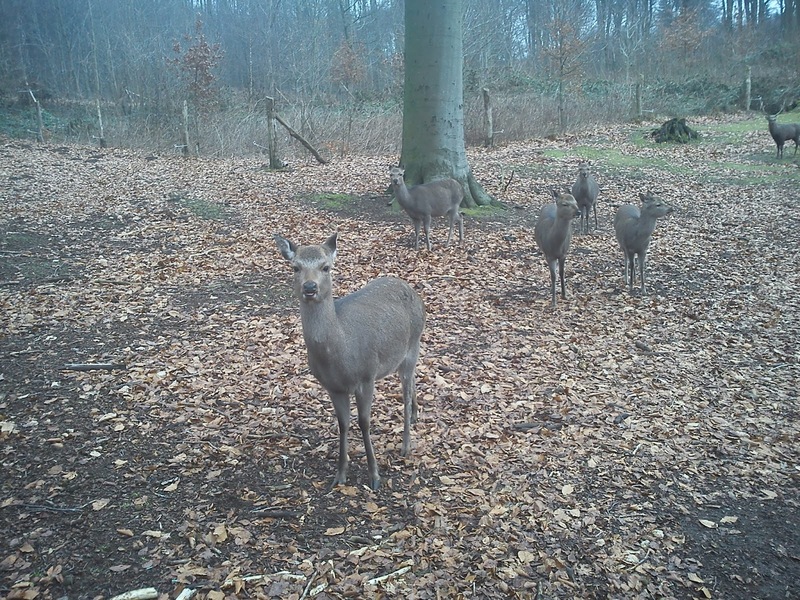 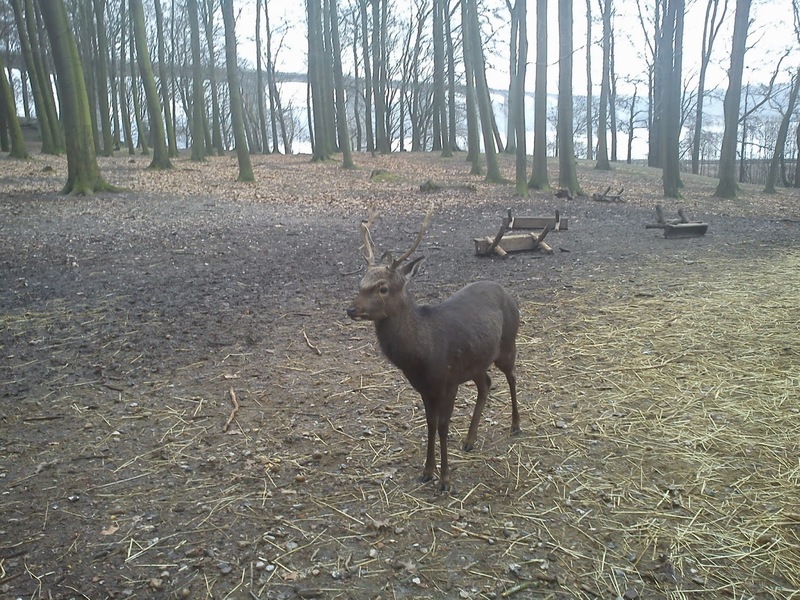 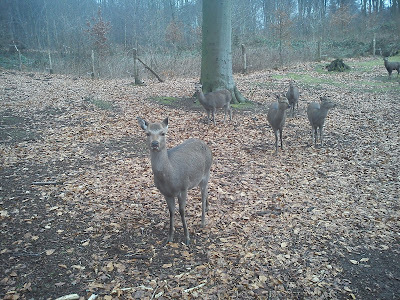 Winter time in Vejle Dyrehave (deer park) with some curious residents. 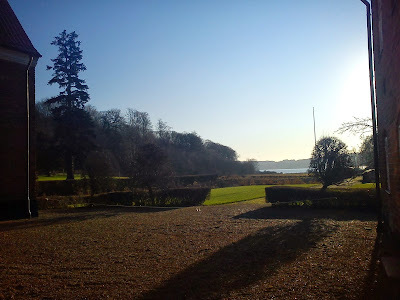 Dyrehaven is located in Nørreskoven with a view over the fjord of Vejle. 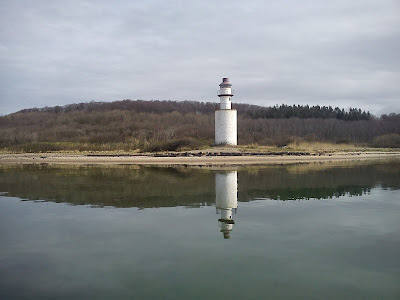 The lighthouse of Træskohage - location on the Northern side of Vejle Fjord. 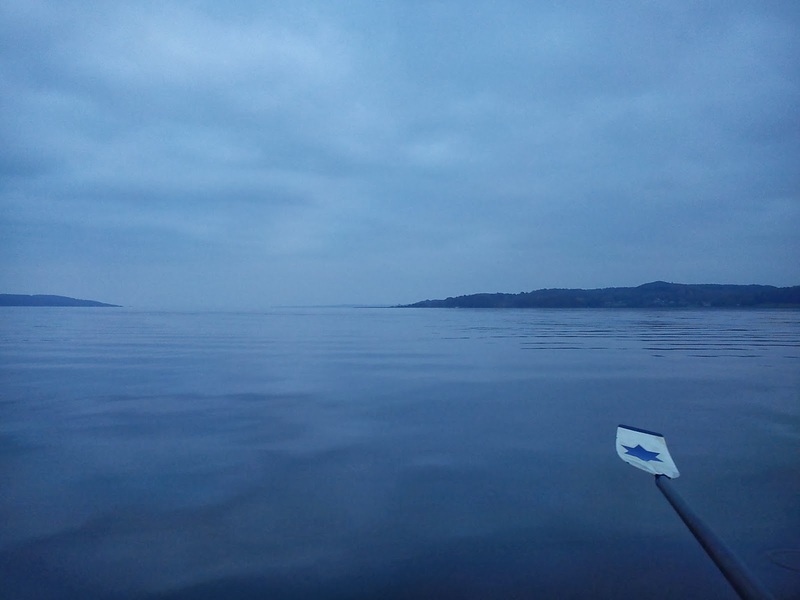 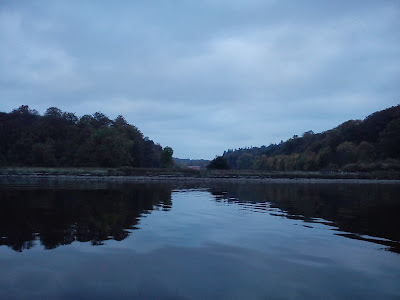 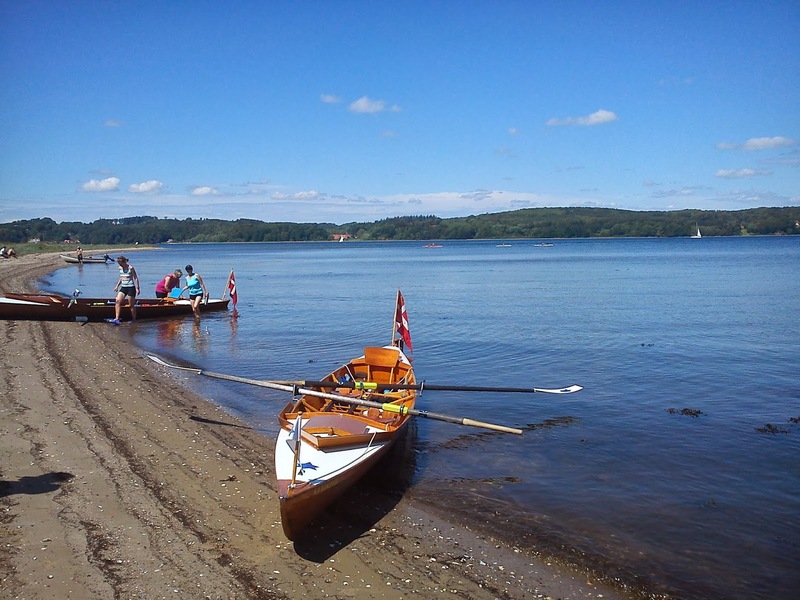 The last rowing tour of the rowing tour of 2013 on the fjord of Vejle. 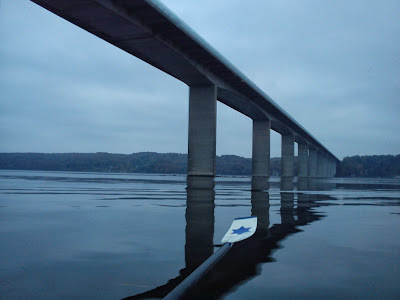 A view out of the fjord towards Kattegat, a view on Tirsbæk Slot and finally the iconic bridge (Vejle Fjord broen). 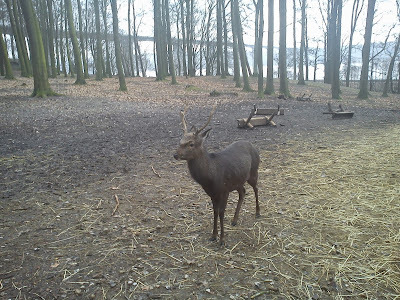 Two photos from the annual Christmas Postage stamp march of 2013. 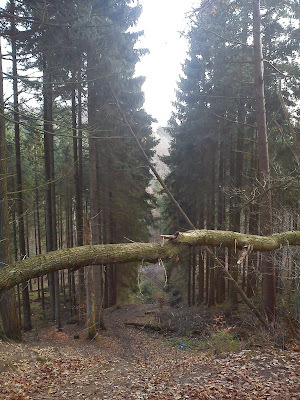 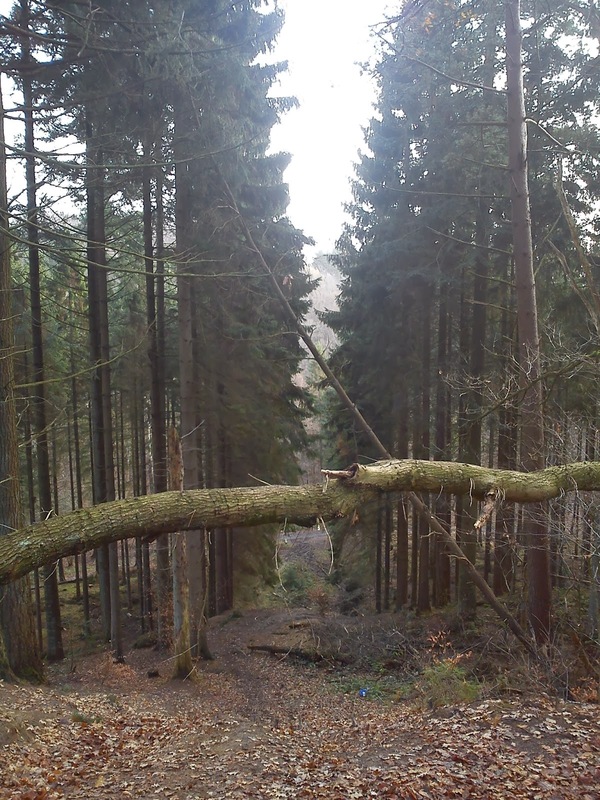 The picture to the left is the old ski jump in Nørreskoven build back in 1940´s. 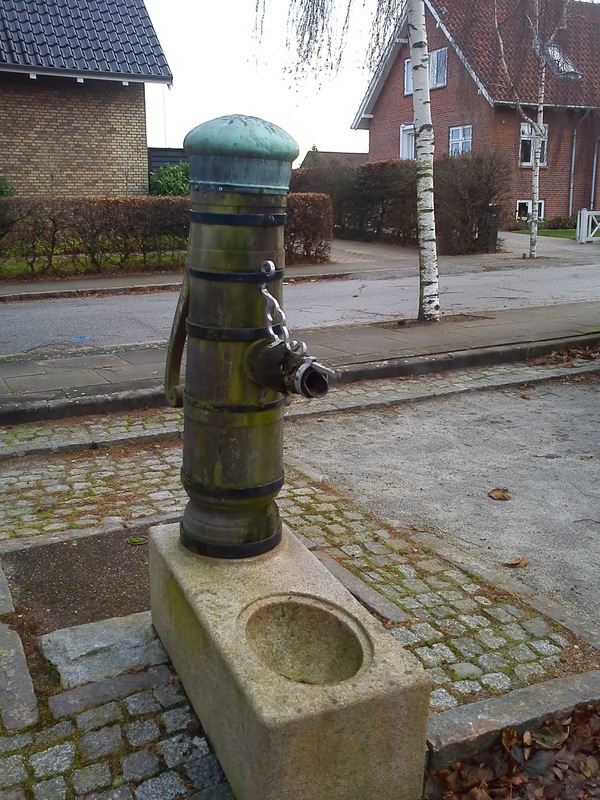 The picture below to the right side is an old water pump located on Nørre Alle on Nørremarken. It was fascinating to pass this old pump in a housing area build in the 1950/60s.